One of the most popular in the Dannmar line. 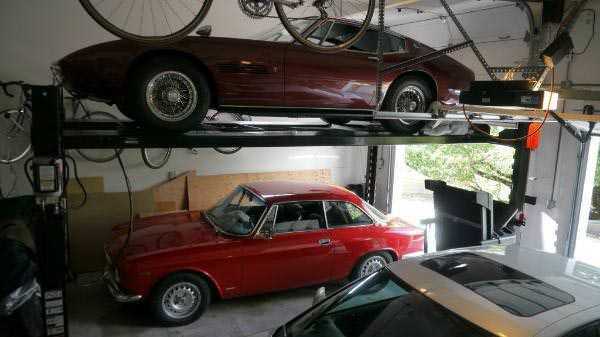 The reason is quite simple; it fits perfectly in a home garage or shop. From valet parking to towing, storage and impound yards, to home owners, the D-7 is the premiere four-post lift choice. If you're looking for a four-post lift with the same capacity but a bit wider, check out the D-7/X. The Dannmar 4-Post D-7 garage lift is ALI and ETL Certified. Here it is! This is the hottest, most popular car lift ever built - PERIOD.Without a doubt, this is the best deal on the market for the home hobbyist that wants an affordable parking and service solution, without sacrificing quality. Are you looking for an economical answer to finding increased parking space? Are you looking for a portable service lift with all the most popular options included in the price? If you answered yes to either of these questions, then you need the Dannmar D-7 economy home / hobbyist four-post lift.This garage lift is the most popular design on the market. Some people would call this their 8,000 lb. model. We rate it conservatively at 7,000 lbs.This is the most popular lift on the market. And nobody has a better deal on it. 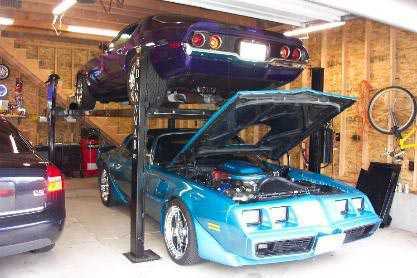 Being one of the most popular lifts in the Dannmar line, this garage lift has gained a solid reputation with hobbyist and car collectors, as well as the DIY aftermarket. From valet parking, towing, storage and impound yards to homeowners, the D-7 is the premiere four-post lift. No special foundation is required and installation is simple. Optional casters enable you to roll the lift outside or wherever best suits your needs. The space saving lift fits in a typical parking space and has an overall height of less than seven feet to truly maximize valuable floor space. You can also use the D-7 lift for service work or detailing. Other uses are storage of ATV's, snowmobiles, jet skis, golf carts, boats or anything else that needs to be up off the ground. 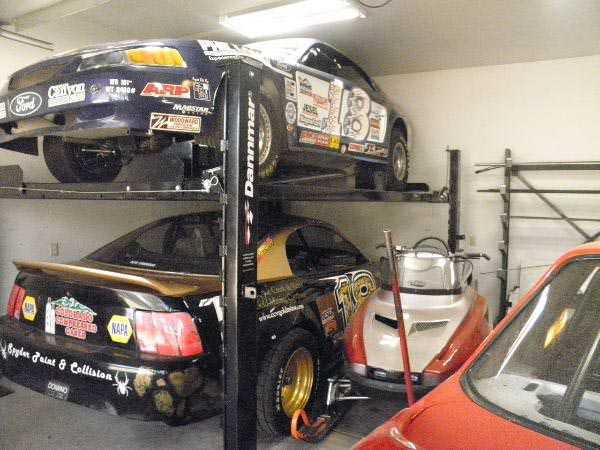 Why not utilize the space you now waste above your car?